General view of Pittsburgh, Pennsylvania, USA, 1833. 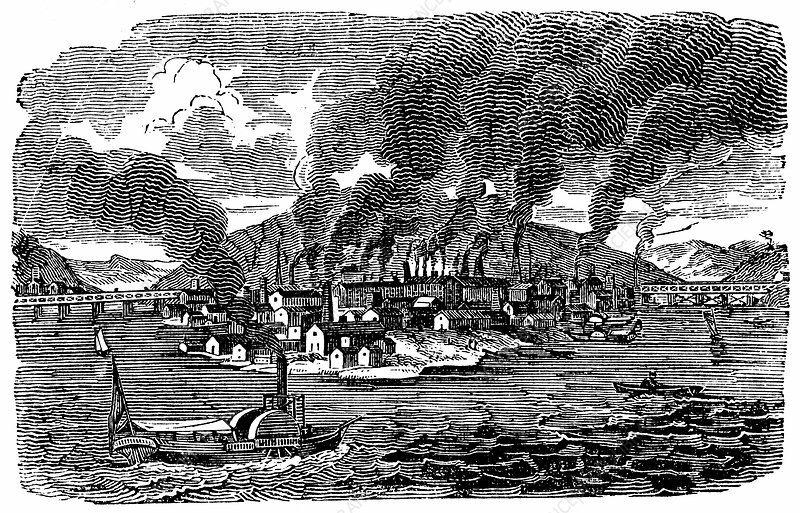 Showing smoke pouring from the chimneys of the numerous foundries and rolling mills. From Scenes of American Wealth and Industry.